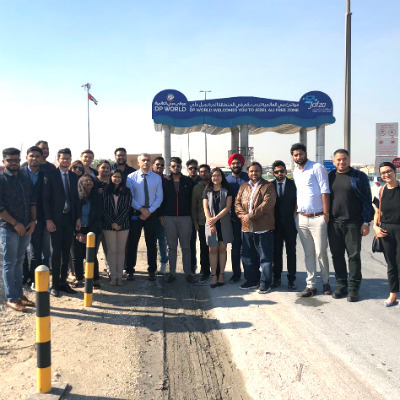 On 19th May, 2017, the MGB and GMBA batch of SP Jain’s Dubai Campus visited the Emirates Facilities to understand the functioning of one the largest airline services in the Middle East, Emirates. We have all been such sincere aspirants of Western influence and their ideas of luxury, that we often tend to forget our roots. In order to celebrate, appreciate and live in the rich heritage of our country, the students of MGLuxM, April 2017 had the honor of visiting the glorious Taj Falaknuma Palace. Truly celestial in its being, the name is rightly derived from the works “Falak” (sky) and “Numa” (like). The students experienced a day in the life of the Royals by being escorted by a horse chariot and welcomed by a shower of rose petals. They went ahead to admire and live in the truly inspiring and pioneering Indian luxury. From the Scorpion shaped layout, to quintessential Italian architecture, the cohort experienced luxury in its Indian primitive form. 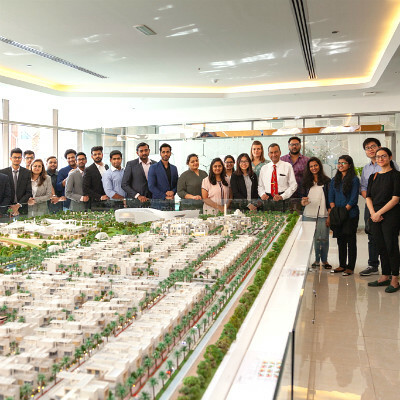 The cohort also encountered the backbone of this splendid palace, being the HODs of Operations, Sales & Marketing, Customer Relations and Hospitality which assisted them in gaining relevant insights to ensure excellence in the field of luxury. Accompanied by the royal palace team for high-tea, our students surely did benefit largely from their expertise and knowledge. 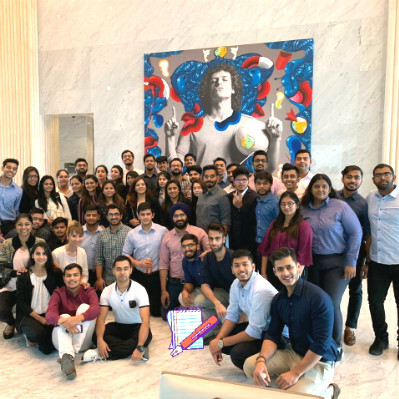 BBA Mumbai Jags turn into CSR Consultants for a day!! The BBA Jags visited the facility of the well renowned Industrial conglomerate Godrej & Boyce Mftg. Co. Ltd to better understand how Indian corporate houses address the triple bottom line issue through their CSR initiatives. 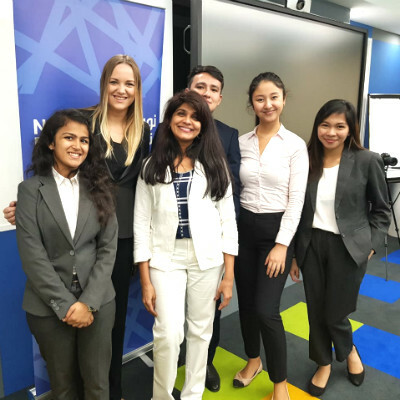 On 12th February 2017, the GMBA cohort specialising in IT and a few selected Undergraduate students keen to pursue technology and business visited the Microsoft Technology Centre located at Dubai Internet City for an interaction with the Developer Experience (DX) team to understand the business overview of Microsoft and the key role in plays in the UAE & GCC market.